I am going to let you in on a little HUGE secret! Tomorrow there is going to be a SITE WIDE TEACHERS PAY TEACHERS SALE! Ok, who doesn't love a big sale? I have sooo many things on my wishlist (79 to be exact) ranging from great music products, to fonts, and clip art. It won't all make it to my cart, but some of it will, and I am definitely looking forward to saving money and supporting other teachers with my purchases. Yes, I will probably make more than one purchase before Tuesday is over. 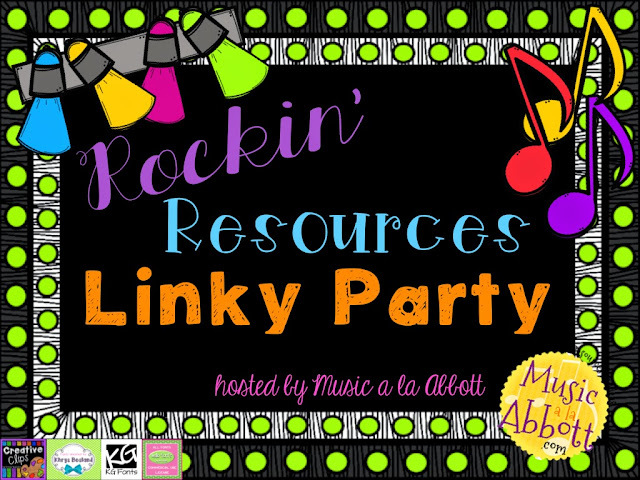 In honor of this site wide sale, I am linking up with Amy Abbott from Music a la Abbott to share some "Rockin' Resources" that you should check out during the sale. 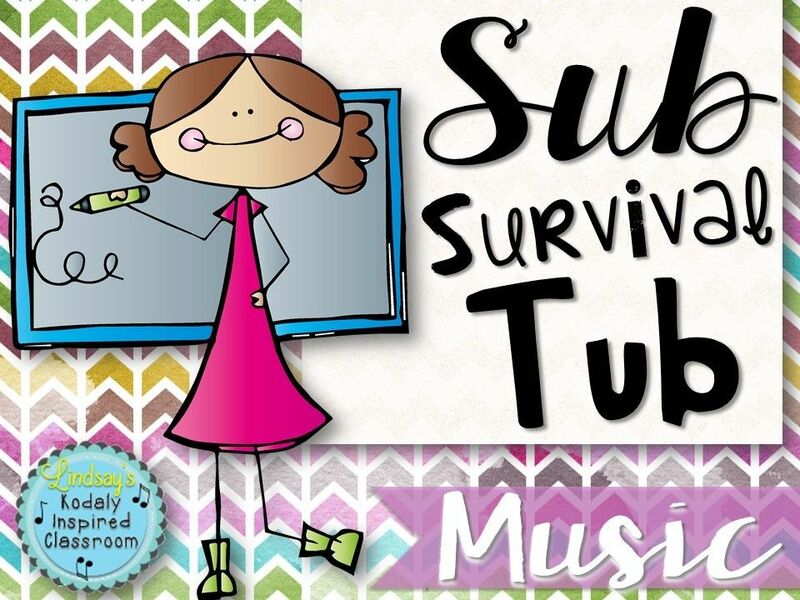 First, I will share about a resource I am super excited about that is brand new in my TpT store. 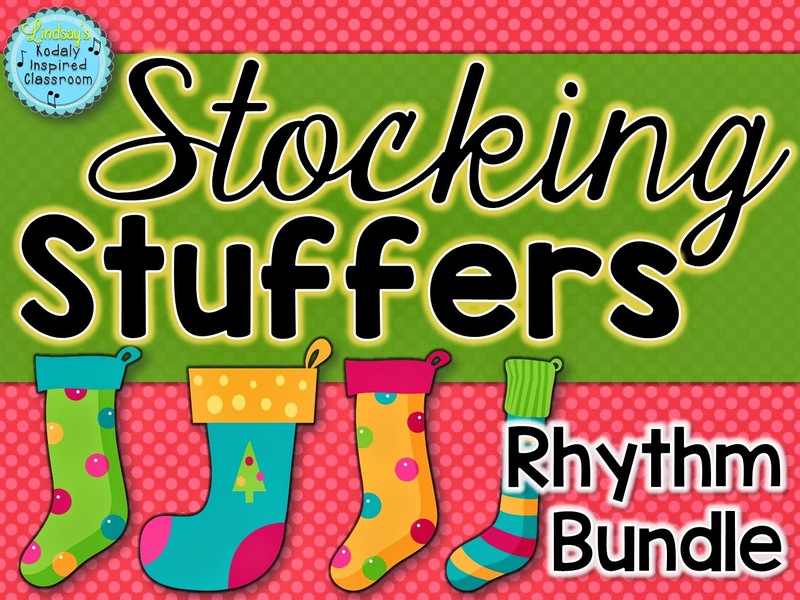 I created a Stocking Stuffers rhythm practice game that you can project on your SMART board or, if you are like me, onto your white board. Students can throw a Kooshball to select it if your board is interactive, or you can click from your computer on the stocking they pick/hit with the ball. Once they click on a stocking, they are taken to a rhythm pattern for that stocking. The student has to read the rhythm pattern correctly to find out what is inside their stocking. If they get it incorrect they are taken to this page, and the game continues with a new team or student taking a turn. I plan to use this in the next few weeks as an individual assessment in several of my grades as a quick assessment while we are in the middle of prepping for our All School Christmas Sing Along. I have also included a version that uses just stick notation without note heads. Use whichever version will work best for you and your kiddos. This next file is on my wishlist for the cyber sale. I missed it during one of the $2 Tuesdays because life got busy and I forgot to check out! This one comes from Cori Bloom at Rhythm and Bloom! 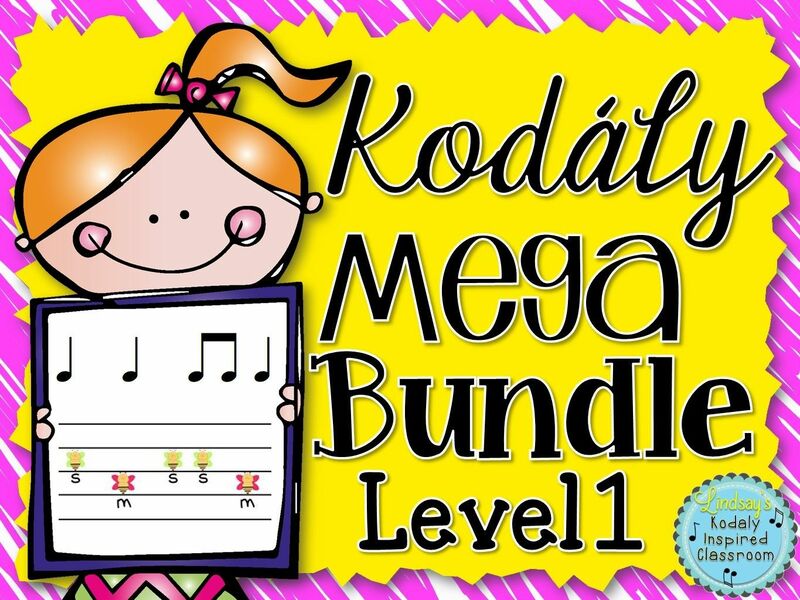 It looks like it includes a lot of great ideas for listening and movement. 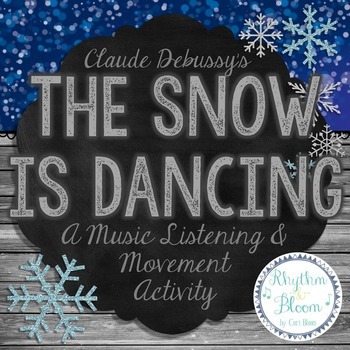 I love the fake snowflakes that her kiddos are dancing with here, and who doesn't love the music of Claude Debussy! You can find this file here. 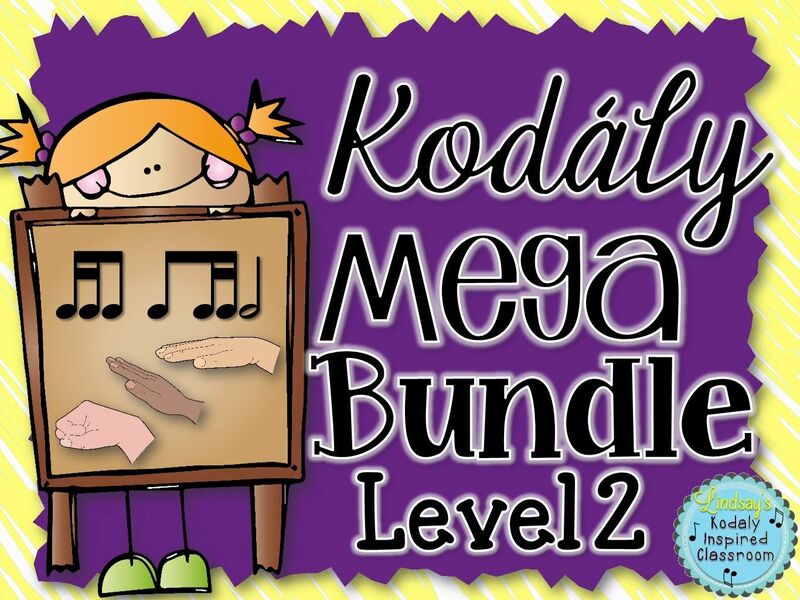 Although I do like to stock up on things to use in my music room, site wide sales are also a time when I really plan ahead for the projects I want to make and go crazy buying clip art, fonts, borders and backgrounds for all of the resources I make. During the Teacher Appreciation Sale I picked up this Font Bundle from KG FONTS. It includes every font she has ever made and ever will make. 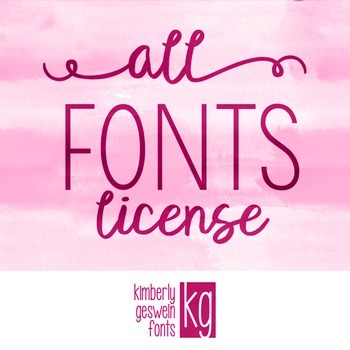 It was probably my biggest TpT purchase ever and I was a little leary telling my hubby that I spent $200 on fonts, but I have used them in every single resource I have made since May. 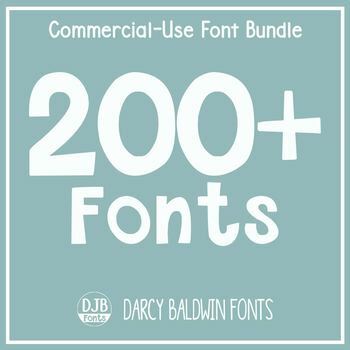 Not sure that I am ready to pay for more fonts, but I found this font package that I has been sitting in my wishlist for a few months now. Want to save a little bit extra on your TpT purchase? If you have made TpT purchases in the past, you can leave (thoughtful) feedback on your purchases and earn TpT credits. 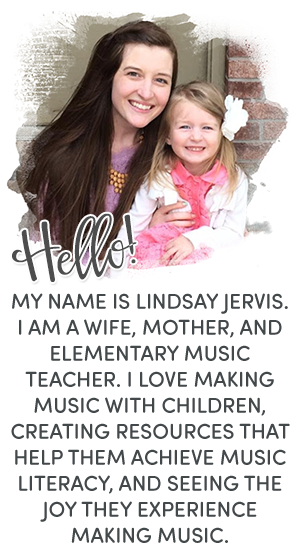 I LOVE using the TpT credits on top of site wide sales because then I save even more and really feel like I am getting a steal of a deal! I got a LOT of TpT credits from that first font package! You can find out more about TpT credits here. I hope you have a fun time shopping on Cyber Monday (and Tuesday) during the site wide sale. Don't forget to put in the code, "TPTCYBER" at checkout to get the additional % off! I like how you included standard notation and stick notation in your rhythm file, it's nice to have options! Things to be Thankful For & "Fill Your Plate"